With her rent rising faster than her pie crust, bakery owner Winnie Johnson had hoped to be rescued by an inheritance from her wealthy friend and neighbor Gertrude Redenbacher. Instead all she inherits is the widow's hostile hissing tabby, Lovey, and a vintage ambulance, restored by Gertrude's late husband. As her dream crumbles, Winnie makes her final delivery-a peach pie to an elderly widower. But she finds Bart Wagner lying on his kitchen floor, smothered by a pillow. 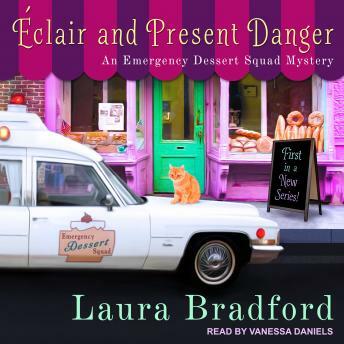 To comfort her frightened and grieving neighbors, Winnie comes to the rescue with her baked goods-and an idea is born: dessert delivery via her ambulance and a new business called the Emergency Dessert Squad. When she's not speeding to the scenes of dessert emergencies, Winnie is also racing to track down Bart's killer-before she needs to call a real ambulance for the next victim . . .